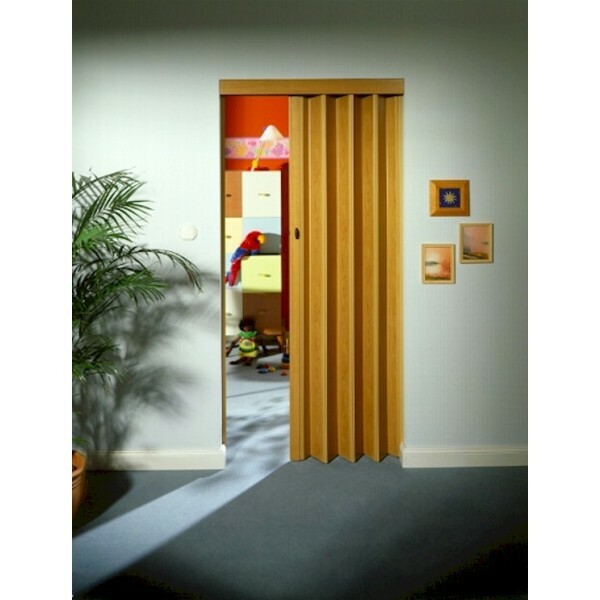 The Rapid folding door offers you a high functionality for a low price. That means: 100% of achievement and reliability with every standard installation. Standard height 203 cm, can be shortened as required. Standard width to 88 cm, not extendable. 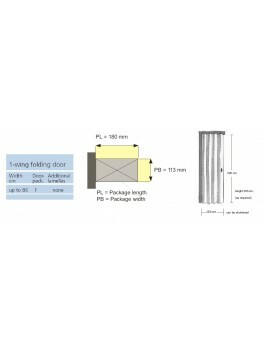 Including casing to cover of the upper sliding rail. Lamellae from 8-mm-, double-walled plastic profiles. 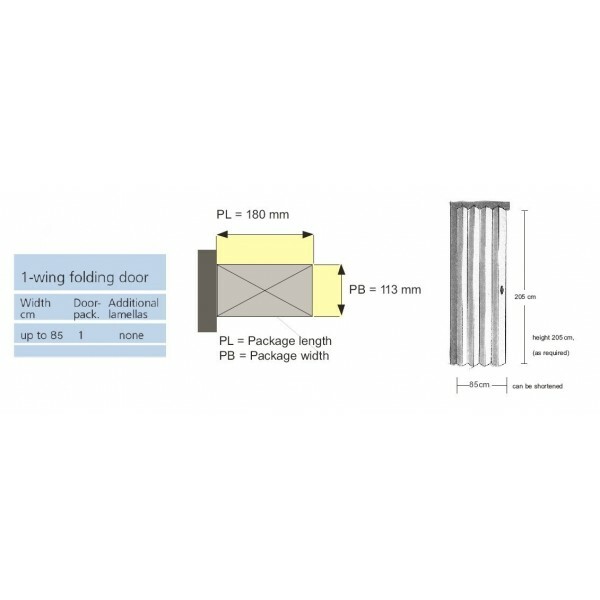 Joint link of long-term-elastic soft plastic and maintenance-free special gliders for a long-standing, noiseless using. 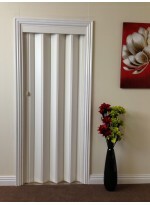 Properties: One wing door: Can be fitted to open left to right or right to left only. 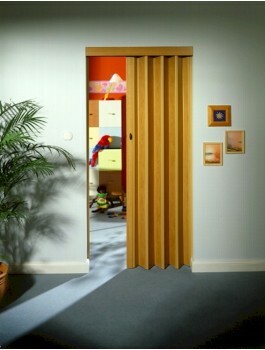 Folding door height can be reduced/cut on site. 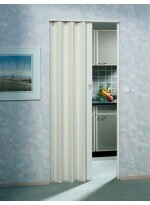 Doors are pre-manufactured at 203cm heights only.